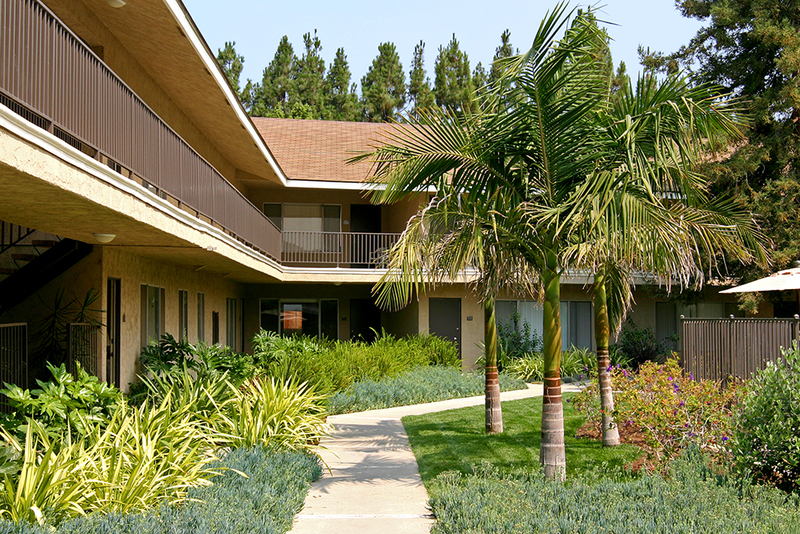 This 5 courtyard, 12.68 acre apartment complex located in Ventura, CA was developed with the premise of creating 5 distinct interior courtyards with themes: Woodland, Mission Garden, Tropical, Orchard and Zen. The Woodland zone utilizes the existing Redwood stand and augments it with flowering textural plants. The Mission garden provides a diversity of flowering species with organized planting beds. The Tropical garden has 3 types of palm groves and varieties of seasonal and foliage color. 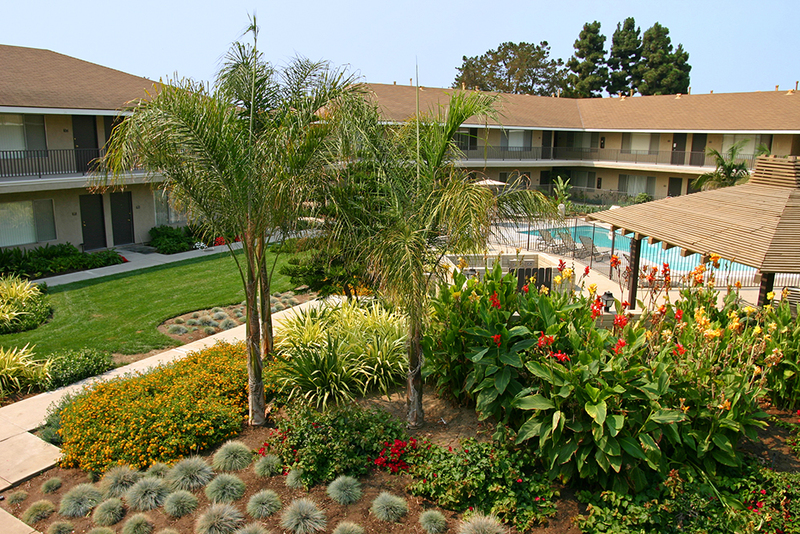 The Orchard courtyard utilizes groves of citrus trees and agricultural rows of grasses. 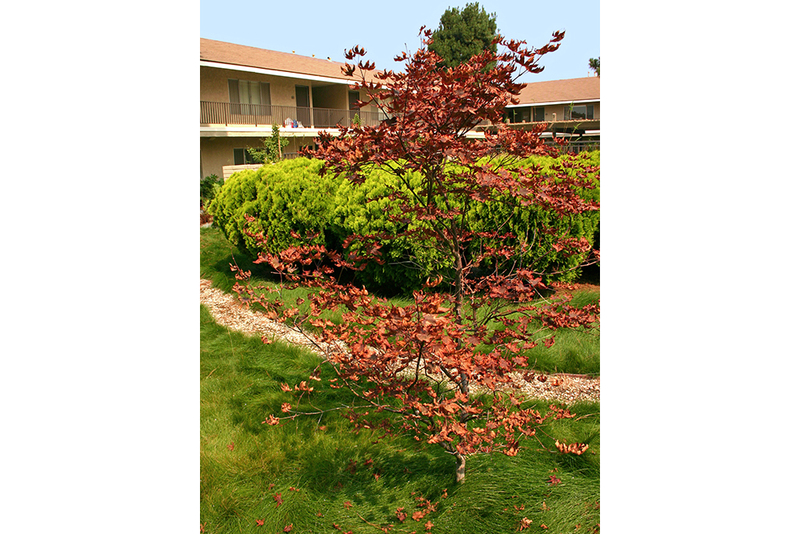 The Zen garden takes its palette from Japanese gardens utilizing stands of Bamboo, Japanese Maples and Gingko trees. Together they form the newly designed Pacific Gardens.